The Garden of Eden was a perfect place – God made everything that was “pleasant to the sight” and “good to eat”. Adam and Eve had a perfect relationship – they were naked and not ashamed. They had nothing to hide from each other. They had no kids so every night was date night! God gave them everything they needed. They had no in-law problems, no long meetings at work, no traffic, no mosquitos, no full in-boxes, no telemarketers, no junk mail, no headaches, no money problems, no car payments. What more could they ask for? God gave the first man and woman everything they needed and only one rule. Obeying God brings joy and fulfillment. The rule was there to protect them. 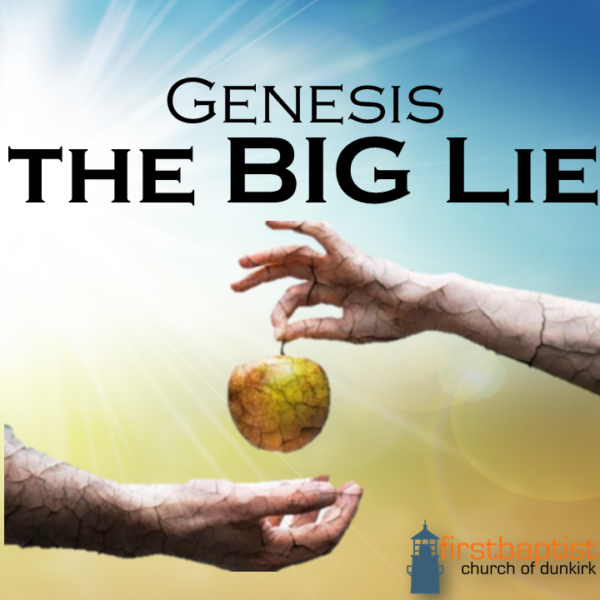 This morning we are going to look at the devil’s Big Lie in Genesis chapter three. Just as he tempted Adam and Eve to disobey God, we are tempted in the same way: doubting God’s Word and doubting God’s goodness. Doubting and disobeying God brings pain and death. Trusting and obeying God bring joy and life. These principles are still just as true today. We spend money and labor but are not satisfied. Listen to Me: eat what is good; delight in rich foods. Come to Me, your soul may life and I will make an everlasting covenant. We are only truly satisfied in God. He gives us what is good. What we need. He provides eternal life. His boundaries, His rules, are for our protection and our good.Seek the Lord while He may be found Call upon Him while He is near. If you never trusted in Jesus Christ as your Savior – Come talk to me (Pastor Mark Massaro) or come see me. If you are struggling with living a victorious Christian life, join a growth group. We also offer biblical counseling, if you need help in your marriage, relationship, or individually. Click the link above or contact the church office for more information.